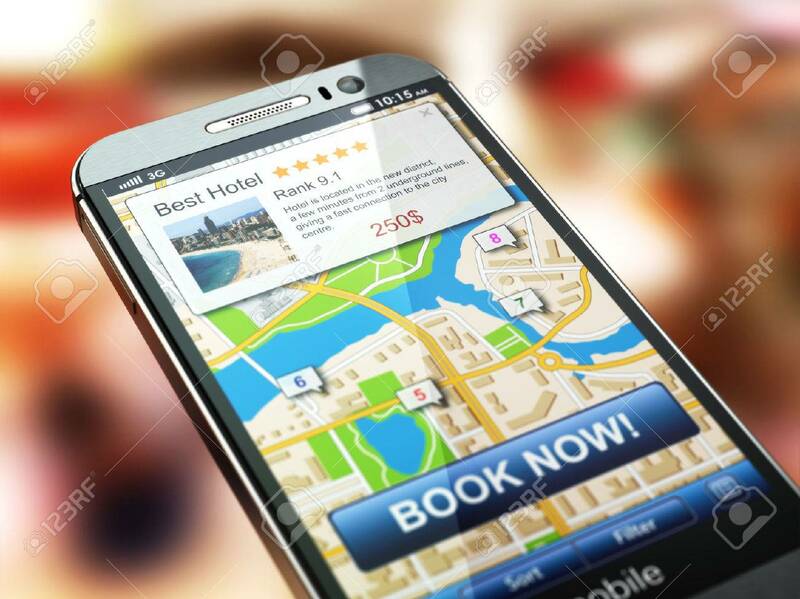 Online Accommodation Booking Concept. Smartphone And System .. Stock Photo, Picture And Royalty Free Image. Image 47014856.